There are so many amazing fashion and style bloggers out there. One of them is Tsholo Dikobe in Botswana and I feel honored that she reached out to me regarding a feature. I am in love with her creative and distinct style and look here, she managed to get a pic with Sudanese supermodel Alek Wek. 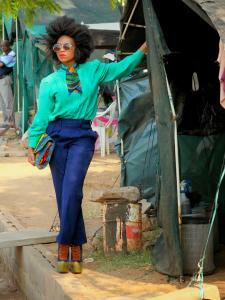 How do you like Tsholo’s style? Comment below!